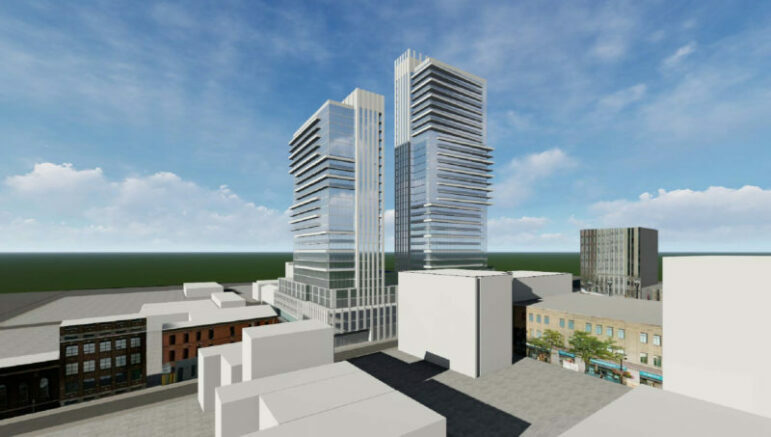 Hamilton’s Design Review Panel strongly suggested LiUNA and Hi-Rise Development Advisors redesign their proposed two tall building development to better conform with City planning policies. During a discussion of nearly an hour, the Panel praised elements of the design, and expressed positive feedback about the efforts of the developers to improve the plan since its initial release. 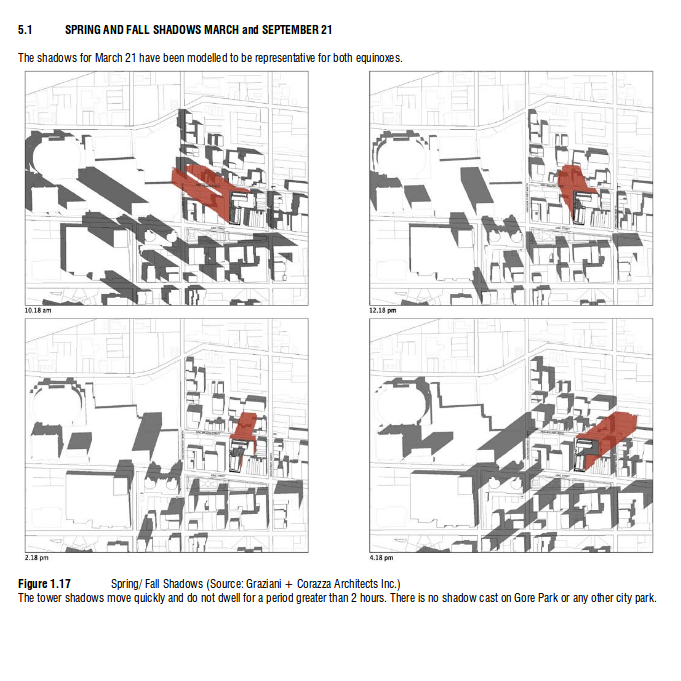 They expressed serious concerns about two elements of the development – the lack of setback from the eastern lot line and that the towers will shadow the future John and Rebecca park for most of the evening. “This needs to be completely rethought from a massing standpoint”, DRP member Tim Smith, a planner, stated. Urban Designer and Architect Ute Maya-Giambattista suggested the proponents look to add more of the Art Deco style of the Kresge’s recreated design of the base into the towers. The Panel expressed a desire for the project to return for further review after taking their feedback into consideration. Hamilton’s Design Review Panel is only an advisory body, and City Council has previously ignored their advice on projects. The King at Hughson project still requires approvals, and appears to be planning to follow the full and proper planning process.